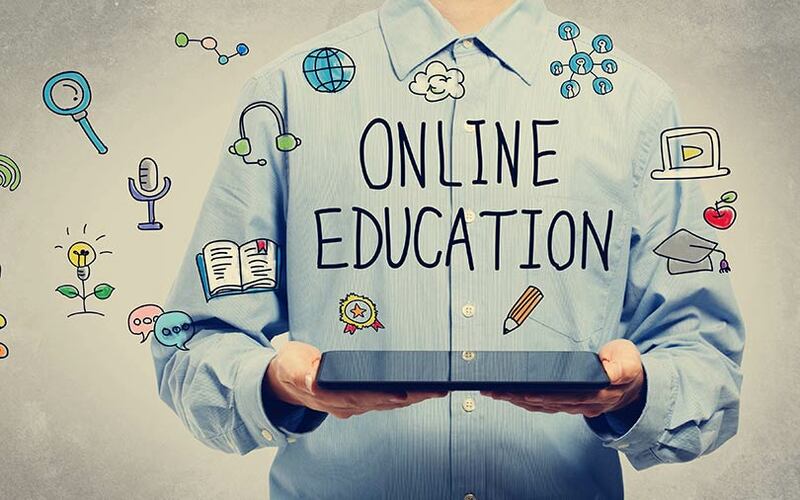 Customer demand and the success stories of firms such as Byju’s, Toppr and Embibe, to name a few, have made investors ‘cautiously optimistic’ about education technology in India. According to investors that TechCircle spoke to, the sector has provided some exits and companies are also able to better deploy technology in their products and services. However, startups in the segment still face a number of challenges, including high operational costs and issues around scalability, profitability and unit economics. Ed-tech companies in India operate in four broad categories—K12 (kindergarten to 12th grade) & play school, coaching & test preparation, higher education, and vocational & skill development. Analysts say only a few ed-tech startups have managed to build a solid business or a recognisable brand. According to investors, the K12 segment has the highest number of ed-tech startups. It’s not just K12 but also open online courses that have a high concentration of startups, where Indians, in general, are the second-largest consumers. “Companies are targeting schools like K12 and some target supplemental tuition like Byju’s,” Acharya added. However, as mentioned earlier, K12 education in India is highly regulated by the central and state governments, so innovation here faces a few hurdles. Besides K12, another segment where money is being made is coaching and test preparation, says Abhishek Ballabh, co-founder of ExtraaEdge, an ed-tech startup that helps educational institutions acquire students and increase admissions. “Because of the middle-class aspiration of parents who want their children to become engineers and doctors, a lot of money from this section of people gets pumped into these companies,” he added. Byju’s is one of the best-funded players in the K12 and competitive exam categories. Run by Bengaluru-based Think and Learn Pvt. Ltd, it has till date raised close to about $345 million through a mix of equity and debt, according to VCCEdge, the research arm of News Corp VCCircle. In June, Byju’s said it crossed Rs 100 crore in monthly revenue and achieved profitability. However, it has yet to file its full financial statement. While ed-tech startups mostly cater to the K12 segment, few operate in the online tutoring and coaching space. But Ballabh believes there is scope for them to grow. This is because students are increasingly opting for them, over and above their schools and private tuition classes. Though some of the larger ed-tech startups have received considerable funding from investors, they have been bleeding heavily amid efforts to grow (see graphic). For the financial year 2016-17, Byju’s reported net sales of Rs 230 crore, up from Rs 108 crore in the previous fiscal. The company’s net losses for the year rose to Rs 61.85 crore from Rs 49.5 crore in the year prior, VCCEdge data has revealed. Toppr, which a test preparation platform for engineering and medical seat aspirants, and math learning startup Cuemath also recorded significantly higher losses in 2016-17 as compared to the previous fiscal. While none of the best-funded startups have posted profits on paper, test preparation portal Embibe managed to clock an exit for its investors Kalaari Capital and Lightbox Ventures after Mukesh Ambani-led Reliance Industries earlier this year said it would invest $180 million (Rs 1,175 crore) and pick a 72.69% stake in the startup. In 2017, ed-tech startups secured $319.63 million in venture capital and private equity funding, data by VCCEdge shows. This was marked increase from 2016, which saw $280.23 million being invested in the sector, while 2015 - when there was a funding boom in the overall ecosystem - witnessed deal value worth $179.67 million. The first eight months of 2018 have not been very promising in terms of funding value, with ed-tech startups only getting $87.21 million from investors, the data shows. But while the deal value may be low, investors are bullish about the sector, pointing to plenty of early-stage funding. Since the market is large, ed-tech startups must customise organic growth opportunities, he added. However, while macros might indicate promise, startups in the sector are yet to achieve scale and generate better revenues, other investors said. Typically, old brands continue to receive capital or a young player cashes in, he added. “There is potential to have 20-100 players where each player would struggle to do more than Rs 100 crore revenue, which is a challenge. It’s not an early-stage space but more of a PE space,” said Lunia. Some investors view ed-tech as a space ready for a makeover. “Technology has not made major inroads as it has in other sectors, so education (like healthcare) is ripe for disruption,” said Acorn Fund’s Krishnaswamy. According to him, focused ed-tech companies with a defined customer segment, unique value proposition and established unit economics could achieve growth along with capital efficiency. “The sector is driven by aspirations (even blue-collar staff want their children to study well and not follow their traditional profession), increased availability of free content, and increased job opportunities across various skill sets,” he added.